On Monday Natsume Inc. broke the news that Harvest Moon: Light of Hope was releasing on mobile, but at the time it was only available for iOS, and the Android release was to come later in the week. Well, it's later in the week, and it looks like Natsume has kept its word. 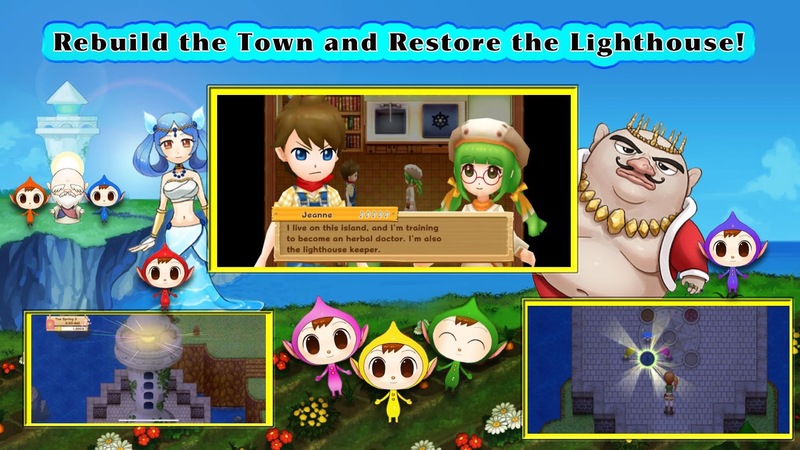 Harvest Moon: Light of Hope is now available on Android for $14.99. This is the PC trailer, but it should give you an idea of what to expect. 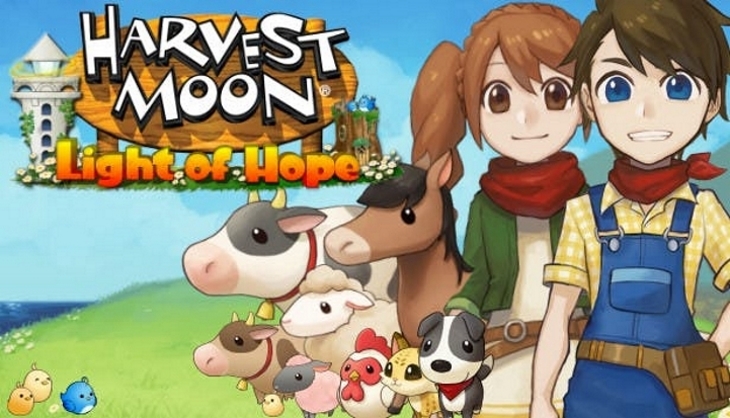 Harvest Moon: Light of Hope is actually the third Harvest Moon game to come to Android. 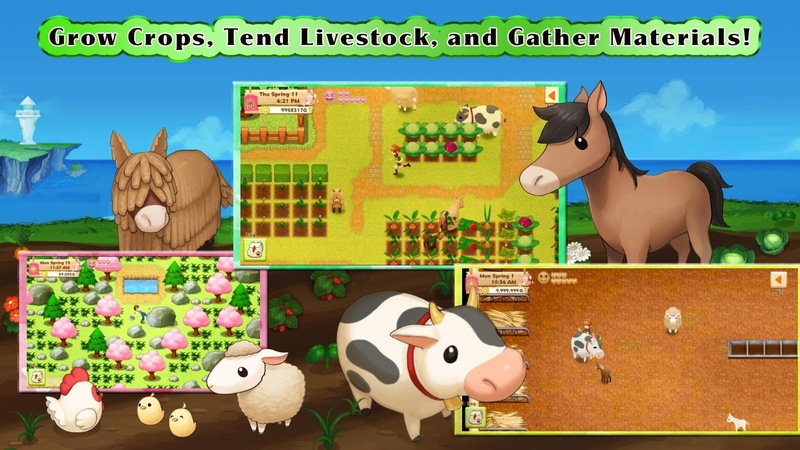 The first was called Harvest Moon: Frantic Farming, and it was more a puzzle game than a full-fledged farming simulator, but it has since been removed from the Play Store, so you don't have to worry about that. The second is called Harvest Moon: Seeds of Memories, and it is more in line with what you would expect out of a farming sim, and it's similar to today's release. The gameplay revolves around a boy or a girl (your choice) who has washed up on the shore of a rundown town. It's up to you to restore it to its former glory by farming. The money you earn from your crops can help to rebuild buildings, and once those buildings are restored, more people will move back to the town. Rinse and repeat as the seasons change, and a few festivals take place, and you get the picture. 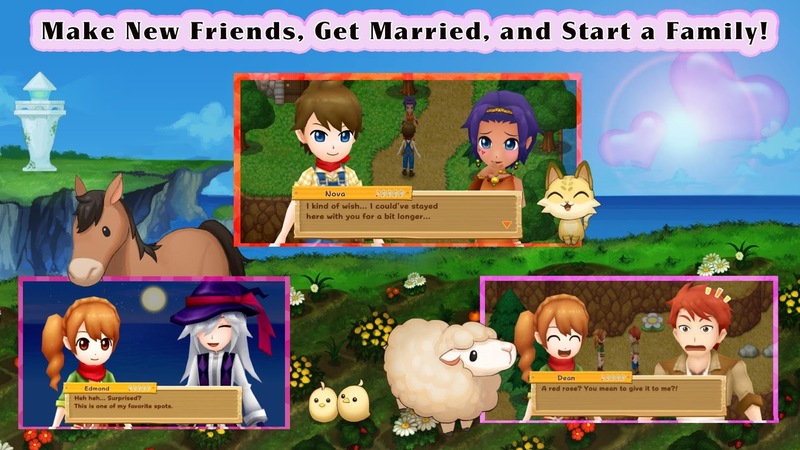 Like all Harvest Moon titles, you can romance some of the villagers to eventually find a significant other. So there is some life sim stuff going on here too. Now, I would be remiss if I did not mention that these newer Harvest Moon titles from Natsume are not actually developed by the original developers of the series. That would be Marvelous. The lack of detail in these newer titles (the graphics are very dull), and slight changes to the gameplay that dumb things down (you no longer have to swap tools) may not be to everyone's tastes, especially for older fans. There is also an issue with this particular title that the money you earn through farming is not worth the time you spend on it late game. You can obtain more money by completing other tasks, which is kind of strange for a farming simulator. From what I have played on PC, Switch, and Android this is still an alright farming sim, and it's probably the best we have on Android right now, even with all of its problems. The $14.99 price tag isn't all that bad either, especially when you consider that the Steam version still sells for $19.99, and the Switch version is retailing for $39.99. If this were released on any other platform I would recommend skipping it to pick up one of Marvelous's Story of Seasons titles (since those are the true Harvest Moon games being made today), or at least go for the indie hit Stardew Valley. But they aren't available on Android, so the pickings are a little slimmer. That doesn't mean Harvest Moon: Light of Hope is a bad game, it just isn't as good as its competition. Still, there is a lot to explore, plenty of crops to grow, and a bunch of villagers to romance. Despite its faults, I know I'll be playing for months to come.